Jannie Ruth Jackson has traveled internationally with her husband to Africa, England and Israel; and gained national recognition within the Bible Way Organization as a “Lady of Honor and Elegance”. She is a powerful and anointed speaker and when she opens her mouth “Wisdom speaks”. 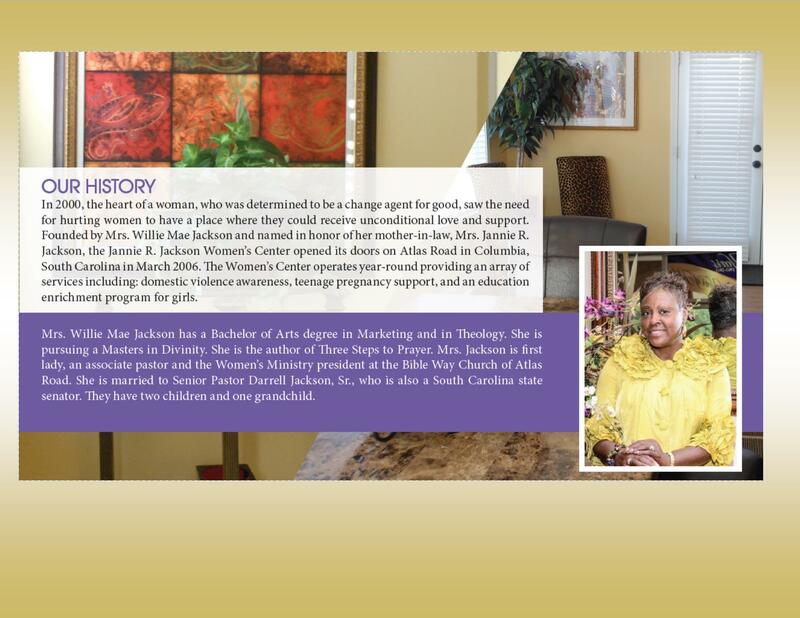 The Jannie R. Jackson Women’s Center, named in her honor, is a 501c3 organization which provides support for females of all ages throughout South Carolina. 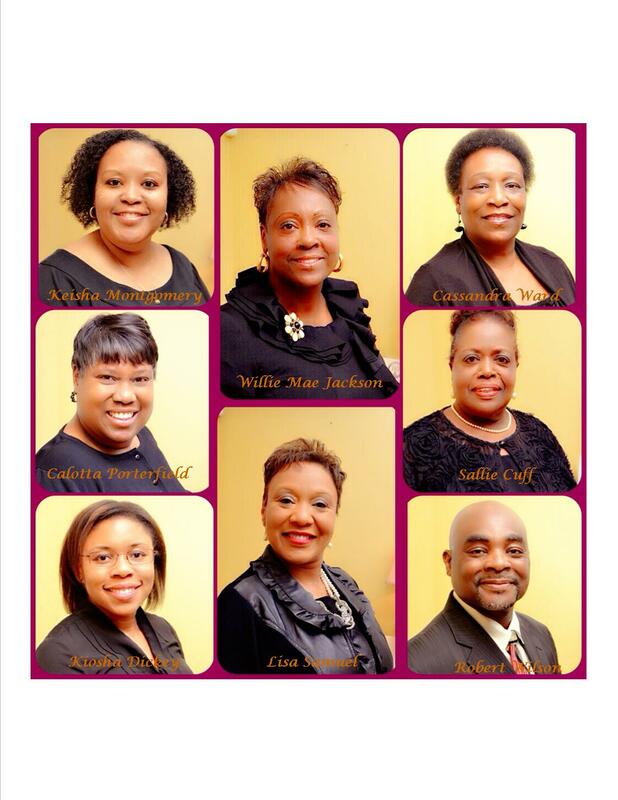 Established in 2006 as a vision of Willie Mae Jackson, the primary focus of this organization is to assist in the healing of women and girls, and the mending of broken families.